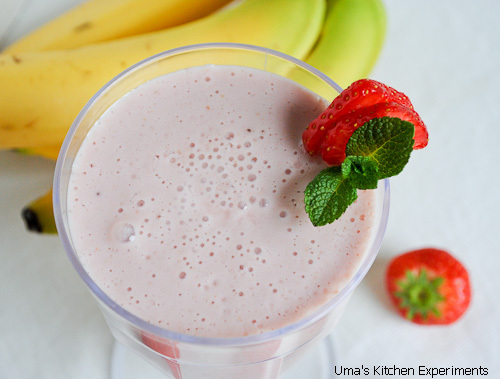 Strawberry banana smoothie is a refreshing drink that everyone would like. 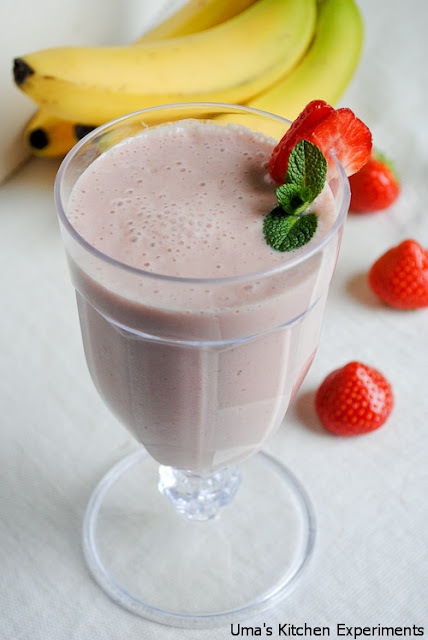 A smoothie is nothing but a drink which is blended with milk / yoghurt and chilled well. Whenever I prepare this drink, I always wonder how an easy recipe such as this is rich in taste and refreshingly wonderful. Prepare this and serve it chill for this hot summer. 1) Wash strawberries and remove the twig from them. 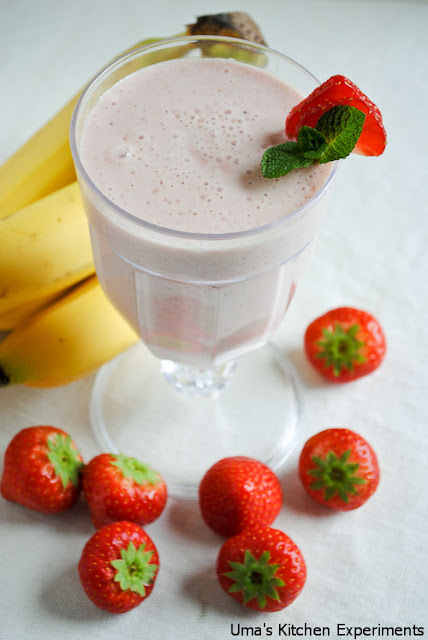 3) In a food processor / mixer, add the strawberries and banana. Blend them well for a minute. 4) Add yoghurt / curd,milk and ice cubes. Blend them again till you get a creamy smoothie. 5) Coat the serving glass with honey and pour the juice into it. 1) You can substitute honey with sugar, if required.